So classy, so much sheen and savoir-faire… the Maiden Dining Chair will make the quietest dining room sit up and take notice, without being overbearing. This sophisticated verve comes from the combination of classic contemporary lines with a very European feeling for materials. The entire frame is gleaming stainless steel, with support members contoured into graceful curves that increase stability and comfortable seating. 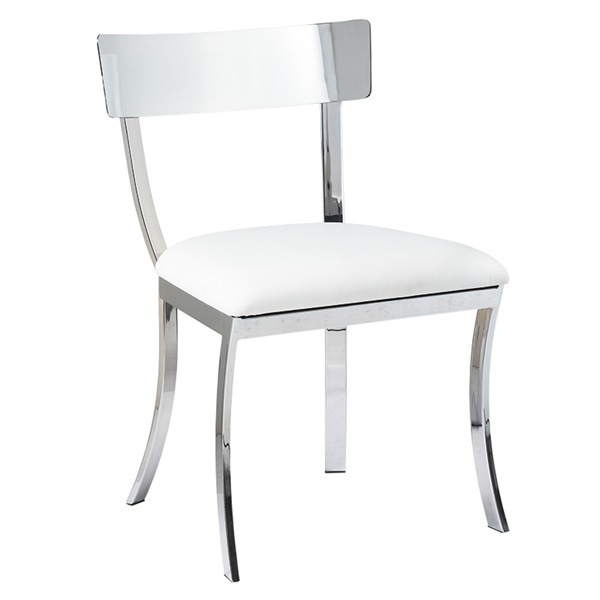 The Maiden Dining Chair’s seat is generously padded and clad in smooth, soft faux leather with a lovely glow, available in your choice of color.